The Fort Lauderdale Real Estate market is certainly one that offers every South Florida lifestyle, from highrise condominiums to Fort Lauderdale Waterfront homes. 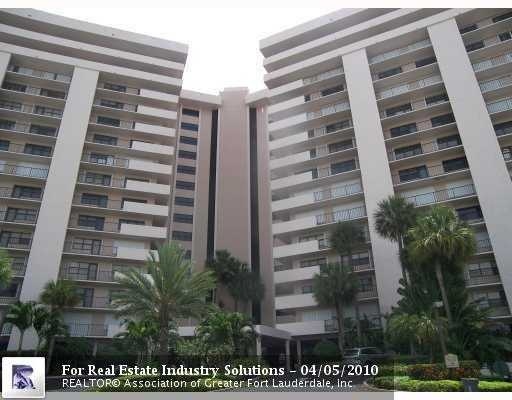 If you're considering a Fort Lauderdale area condominium, Eric Miller and Associates know the Fort Lauderdale Condo market and are here to help. The Fort Lauderdale real estate market, offers a broad assortment of lifestyles and we want to bring your attention to one of beach front favorites, Sea Ranch Club Condominium, Read more about Sea Ranch Club Condos, which sits directly on the beach between Fort Lauderdale and Lauderdale-by-the-Sea, Florida. Sea Ranch Club Condominium has a great deal to offer any buyer looking to live in the South Florida Lifestyle directly on the sand. The property is made of the three seperate condominums, Sea Ranch Club, A, B, and C. Each building has over 200 condos, and there are 727 condominiums in the entire beachfront property. Many of the condos at Sea Ranch are over 2000 sq. feet and feature sepctacular view of the ocean and intracoastal. Shopping including a Publix grocery store is just across the street making the property a favorite for people who just want to ejoy the Fort Lauderdale beach lifestyle and leave their cars parked. The buildings feature work out room, billards, and beach cabanas. On-site management has always maintained these builidngs to perfection. The common areas of the buildings have all has recent renovations. With one of the largest pieces of beachfront property in the area Sea Ranch Club is perfect for the beach lover. At Eric Miller and Associates, "We're here to help" with your next Sea Ranch Club Condo purchase or sale. Contact us directly at (954) 383-8170.